This year at Microsoft Ignite, we will be making some exciting announcements—from new capabilities for identity management and information protection to powerful artificial intelligence (AI) innovations that can help you stay ahead of an often overwhelming surge in threats and security alerts. Join us as we share best practices for current products, reveal highlights of our new offerings, and give you a glimpse of our future product vision. Start by attending Satya Nadella’s keynote. Then kickstart your security journey with this session: Microsoft Security: How the cloud helps us all be more secure featuring Rob Lefferts (GS008). We’ll highlight what’s new in Microsoft security and how our customers and partners are using the Microsoft Cloud to accelerate security and productivity. Watch our demo showcase to see for yourself how unique intelligence and new innovations from Microsoft can help you be more secure across your entire digital estate. Here are just a few of the other sessions at Ignite that will showcase our security technology and the innovation we have invested in throughout 2018 and into 2019. Add them to your Session Scheduler and check out the Session Catalog for the full list. If you can’t attend in person, you can watch the live stream starting on September 24 with on-demand sessions to follow. Leveraging the power of Microsoft threat protection (BRK4000). 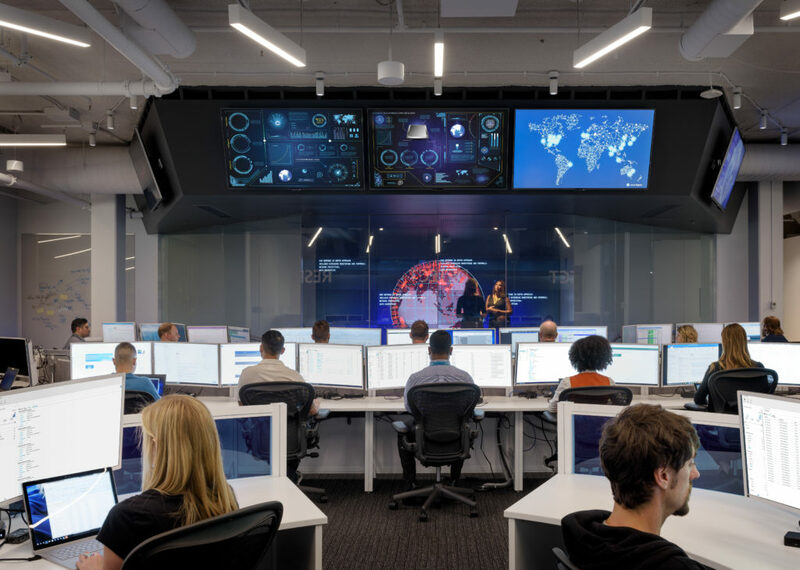 Learn about the services that make up Microsoft threat protection and how they work together across data, endpoints, identities, and infrastructure. Double your security team productivity…without doubling capacity (BRK2251). Learn how automated threat protection and remediation works seamlessly out of the box, using AI to respond to alerts and help security teams solve capacity and skill-gap challenges. How to build security applications using the Microsoft Graph Security API (WRK3006). The Microsoft Graph has been extended with a new Security Graph API. Join this lab to get started using the Security API, including creating and authenticating a new app and using sample code to query the API. Azure Active Directory: New features and roadmap (BRK2254). Come to this can’t-miss session for anyone working with or considering their strategy for identity and access management in the cloud. Hear about the newest features and experiences across identity protection, conditional access, single sign-on, hybrid identity environments, managing partner and customer access, and more. Using Microsoft Secure Score to harden your security position (BRK3247). In this session, we help you understand what your current security position is in products like Office 365 and Windows and show you how you can easily increase your position though the built-in recommendations. Getting to a world without passwords (BRK3031). Get the latest info and demos on what’s new with FIDO2, WebAuthN, Azure Active Directory, Windows Hello, and Microsoft Authenticator to help you make passwords a relic of the past. Accelerate deployment and adoption of Azure Information Protection (BRK3009). Learn all about best practices in deploying Azure Information Protection to help protect your sensitive data—wherever it lives or travels. Registering and managing apps through Microsoft Azure Portal and Microsoft Graph API (THR2079). Come learn how to register apps to sign in Azure AD and personal Microsoft accounts, manage these apps, and get access to APIs all through Azure Portal, Microsoft Graph API, and PowerShell. Secure enterprise productivity with Office 365 threat protection services (BRK4001). Learn about the latest advanced in services such as Exchange Online Protection (EOP), Advanced Threat Protection (ATP), and Threat Intelligence—and get a detailed roadmap of what’s to come. Simplify your IT management and level up with Microsoft 365 (GS004). Come and learn how Microsoft 365 will help you simplify your modern workplace, delight and empower your users, and protect and secure your corporate assets. Managing devices with Microsoft Intune—what’s new (BRK3036). Learn how Intune raises the bar once again for Android, Apple, and Windows device management, and hear more about the exciting new features and new use-cases announced at Ignite. Elevate the security for all your cloud apps and services with the Microsoft Cloud App Security (CASB) solution (BRK2158). Gain visibility into your cloud apps and services with sophisticated analytics to identify and combat cyberthreats, and control how your ubiquitous data travels. Azure Security fundamentals: Protecting infrastructure, apps, and data in the cloud (BRK2395). In this session, learn how Microsoft Azure provides a secure foundation to host your infrastructure, applications, and data in the cloud. 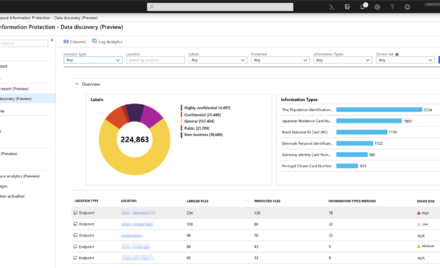 Also learn about the built-in security controls that Microsoft provides to help you further protect data and business assets. Simplify protection of cloud resources with Azure Security Center (BRK2038). Join this session to see how you can quickly assess the security state for your Azure deployments, manage organization-wide security policies, and use new interactive tools to get the best practices for strengthening your cloud security posture. And one other exciting note: To see our solutions in action and gain access to a 6-month free trial of our EMS E5 solution, be sure to stop by the Microsoft Showcase for in-depth product demos and discussions with security experts. For more Ignite news and updates, check back to our Secure Blog as we continue to highlight specific sessions and topics throughout the week. “Not another portal, not another password!” —Learn how lululemon implemented Azure AD for cloud Identity and Access Management, simplifying user access without reducing business flexibility. This integration empowers Windows to natively understand Azure Information Protection sensitivity labels, to provide visibility into sensitive data on endpoints, to protect sensitive data based on its content, and to detect and respond to post-breach malicious activity that involves or affects sensitive data. 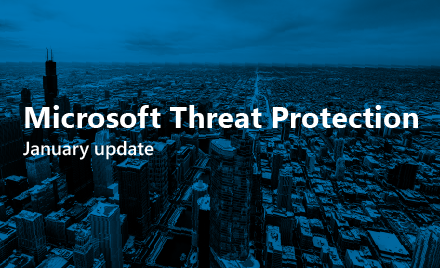 Learn about the top feature updates for Microsoft Threat Protection in January.